General TV Channel / Channel 20 (Hebrew: ערוץ 20‎; pronounced [Arutz Esrim]) is an Israeli commercial television channel aimed at Jewish audience. 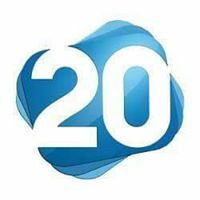 Channel 20 started broadcasting on 30 June 2014. It broadcasts new programs, current events, entertainment, hospitality and culture for the whole family. The channel is sponsored by advertisements. The channel has 150 employees. The channel is one of five special channels chosen by the Ministry of Communications in the late 1990s: a Russian channel, an Arabic channel, an Israeli music channel, a news channel and a channel that will deal with issues related to Israeli heritage.